Inventor of the world wide web, Sir Tim Berners Lee, is one of this country’s finest exports. When one considers the huge contribution he has made to the ability of people to share information and knowledge around the globe in seconds, it seems a shame to find cause to criticise him. One of the most encouraging findings of this year’s Web Index is how the web and social media are increasingly spurring people to organise, take action and try to expose wrongdoing in every region of the world. 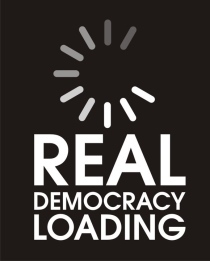 … a growing tide of surveillance and censorship now threatens the future of democracy. Bold steps are needed now to protect our fundamental rights to privacy and freedom of opinion and association online. Surveillance and censorship of the type we are increasingly seeing are not threats to democracy; they are symptoms of the absence of democracy. The definition of democracy has been corrupted. Its definition today as advanced by the political class, has been adulterated to mean nothing more than periodic elections taking place. Small wonder people are ignorant about what democracy really is and continue to labour under the delusion that we have it. All this sham ‘democracy’ permits is a change of the colours of the tribe that will execute agendas formulated by unelected and unaccountable people, without consultation with us, or our permission. The political process is completely detached from the people. Power has been removed ever further from the people and the only solution is for people to take that power for ourselves – it will not be willingly reliquished by the establishment. Taking power for the people can be done, peacefully, intelligently and by operating within the law. Withdrawing our consent to be governed in the way we are can be achieved by frustrating the establishment through a mass refusal to abide by their rules and requirements when it comes to the source of their power – the control of money. Alas,high intelligence in one area doesn’t always translate into discernment in other areas.And isn’t Berners-Lee resident in Switzerland (where they do have a far more democratic system than we have)? Sadly, I believe he is right in saying that surveillance will continue to rise precisely because the Political Classes everywhere feel threatened by the free exchange of information and ideas they cannot filter, manipulate or control. As for democracy, in many countries it died some time ago, when the professional politician and their co-travellers, the permanent, professional and unaccountable professional civil service began its steady rise. We need to face the truth that we live in an Oligarchy, not a Democracy, and have done since at least the 1960s, if not earlier. We’d all like to see this change, but those in Westminster and Whitehall – of all political persuasions – are very unlikely to vote themselves out of jobs or make any change which threatens their absolute hold on power and authority – and the vast majority of voters cannot, and possibly will not, ever see this.